Reduced Fuel Storage – Because natural gas is the predominant fuel, smaller diesel tanks are viable. Less fuel stored on site can lead to easier permitting and lower fuel maintenance costs. In addition, indoor fuel installations with capacity limits per NFPA or local codes may become feasible. On-Site Fuel – For some applications, on-site fuel is required or strongly preferred. With bi-fuel, if there is ever a problem with the natural gas supply, the generator automatically switches to 100% on-site diesel fuel without affecting operation. This meets the on-site fuel requirements for emergency systems as referenced in NEC700 and NFPA110. 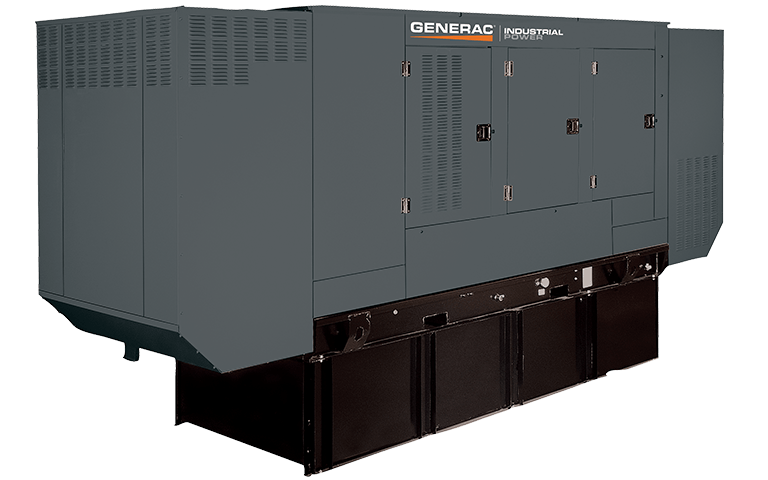 Lower Cost – The cost of a midrange natural gas generator is approximately twice that of a comparable diesel unit. Bi-fuel offers many of the benefits of natural gas for only slightly more than a diesel-powered system and has a higher thermal efficiency than natural gas solutions. This may translate into operational fuel savings based on traditional fuel costs. Reduced Exhaust Emissions – Bi-fuel generators emit about 30% less nitrogen oxides and 50% less particulate matter than comparable diesel-only units for an environmentally friendly solution.